Identify and recognize the characteristics of architectural castings as an alternative to traditional concrete, stone, and gypsum materials. Investigate the design potential and innovative opportunities to incorporate architectural castings made from GRG, GFRC, FRP, and cast stone. Assess the functional contributions of architectural castings as they contribute to green and sustainable design. Formulate an assessment of the relevant cost saving considerations when specifying and designing with architectural castings. The design of building exteriors and interiors involves making a lot of choices and decisions, particularly around architectural details. In new construction of commercial and institutional buildings, those details may be for exterior facades, interior ceiling and wall treatments, or other features. Sometimes, those details can be selected from readily available off-the-shelf products that are fabricated and fit into a project. In other cases, it makes more sense to specify project-specific products that fit into the unique design and construction of a building. In building renovation projects, particularly historical restorations, custom pieces may be needed to match existing exterior or interior building features and details. In all of these cases, architectural castings can provide an effective solution since they can be fabricated from a variety of materials, allowing them to be used for both interior and exterior design. They provide design versatility with material and finish options for all types of walls and ceilings. In this course, we will explore architectural castings and see how an understanding of their variety and properties can help architects use them very effectively in virtually any type of building. 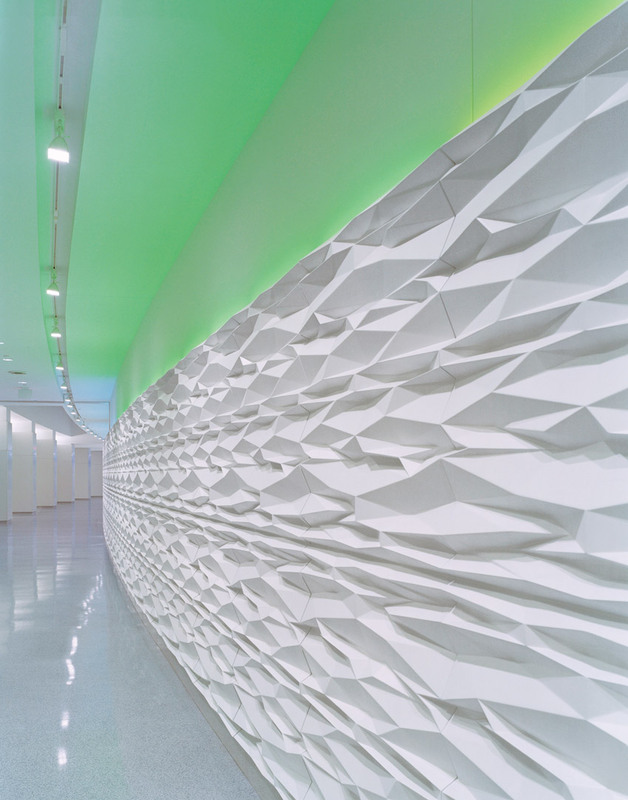 Architectural castings, such as this one at the U.S. Census Bureau, can provide dramatic and durable features to building interiors and exteriors and be fabricated from a variety of materials. Fundamentally, architectural castings are job-specific, shop-fabricated building elements that are used to enhance and complete a building design. While historically such elements may have been made from plain plaster or solid concrete, today they are more commonly made with stronger and lighter composites reinforced with glass fibers. These modern materials create lightweight, decorative (nonstructural) building elements. Such materials can be cast into molds and used on building exteriors including architectural features like cupolas, columns, light coves, fountains, decorative figures, finials, and even cladding or rainscreen panels. Interior wall castings have been made to create decorative wall panels, specialty trims, moldings, niches, pediments, columns, ornamental details, and many more items. Similarly, ceilings can benefit from architectural castings in the form of curved soffits, decorative ceiling panels, vaults, domes, coffers, cornices, beams, brackets, or ornamental ceiling details. Essentially, any defined shape or feature that is part of an interior or exterior design can be cast from the appropriate material and incorporated into the final construction. Castings are available in standard choices for shape and size or, where desired, fully custom pieces can be designed and fabricated to suit new construction or renovation projects. Since castings are nonstructural elements, if columns need to be only structural with no decorative or concealing treatment, then architectural castings are not appropriate. Other than these few circumstances, when the design of any other building condition needs some distinct components to create or restore the proper style, establish a preferred or new look, or simply tie a design together in a durable manner, architectural castings are a cost-effective, highly customizable choice. 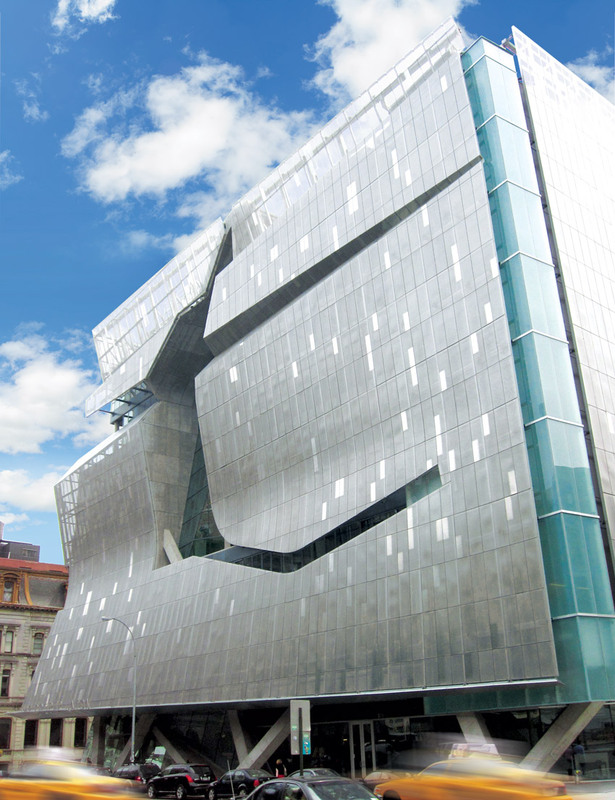 Architectural castings are used on exteriors for a variety of reasons, including this rainscreen cladding on The Cooper Union in New York City designed by Morphosis. Shop drawings: Once a project is procured, the first order of business is to prepare a comprehensive set of shop drawings referencing the architectural drawings and any additional information provided. Shop drawings typically include plans, elevations, sections, and installation details. Castings manufacturers understand that each component is unique both in terms of architectural design and, in many cases, installation. Hence, the goal of shop drawings is to ensure design intent and provide practical construction details to facilitate installation. The drawings are submitted to the architect for approval before manufacturing can begin. Pattern and mold making: Once the approved shop drawings and final site dimensions are received, a pattern and mold must be made before casting can begin. Commonly, computer numeric control (CNC) programmers produce a 3-D file of the cast part using CAD/CAM programs. These programs are used to rout a model in wood or foam to the exact proportions needed with extremely high tolerances. Once the pattern is assembled and checked for accuracy, a mold or negative is made from the pattern by laminating resin or pouring rubber over the pattern. In this way, the mold is an exact negative of the part. Control flanges are mounted on the mold to manage part thickness and facilitate installation. Fabrication: With the mold finalized, fabrication can begin. The casting ingredients are mixed to precise proportions. The liquid mixture is sprayed into the molds while introducing glass fibers to reinforce the part. Once the mold is sprayed, the back of the part is tooled to remove air. The manufacturing process is complete, and the part is allowed to dry into a solid while it is still in the mold. Once dry, the part is removed from the mold and visually inspected for quality and accuracy. Air pockets or other surface imperfections are repaired at this point as needed. Surface finish: Most castings can be supplied in a smooth, paint-grade finish that requires a field-applied coating, or they can be integrally pigmented to a selected color or even sandblasted to achieve a look of stone or precast concrete. Castings are available in a range of standard colors, and custom color matching is also possible. If texturing is part of the final look, that can be achieved either by sandblasting after the part is removed from the mold or casting with molds that have texture built in, such as a water ripple or wood grain texture. Quality control: During casting, quality-control procedures monitor thickness, spray rates, and glass content. Once a part is demolded, visual inspections are conducted to ensure that each part conforms to the project requirements. Anchors are typically embedded into a part to facilitate installation connections, which are subjected to pull tests being conducted on them to ensure the connections also meet the project requirements. Through these various means, a standardized quality-control process is used, even though each part and project are unique. Packaging and shipping: Castings are manufactured in all shapes and sizes. The finished parts are carefully packaged into custom wood crates to protect them from damage during transportation. The crates are usually built on pallets to reduce unloading time. The finished parts are now ready for delivery to the project site or warehouse. The wood crates and pallets can be easily dismantled and repurposed. Once the finished castings arrive on the site, it is then up to the appropriate trades to install them using the anchors and properly selected fasteners. After installation, they can be cleaned and finished as per the interior design and are ready for ongoing, continuous use in the building.